Everyone says they want a sports car, yet most people are caught driving around in hatchbacks, sedans, and SUVs. If I were to take a guess, it might have something to do with wanting additional seating, or fitting anything larger than a candy bar in the trunk. Don’t forget being able to get up driveways and speed bumps without being overtaken by a pet turtle. 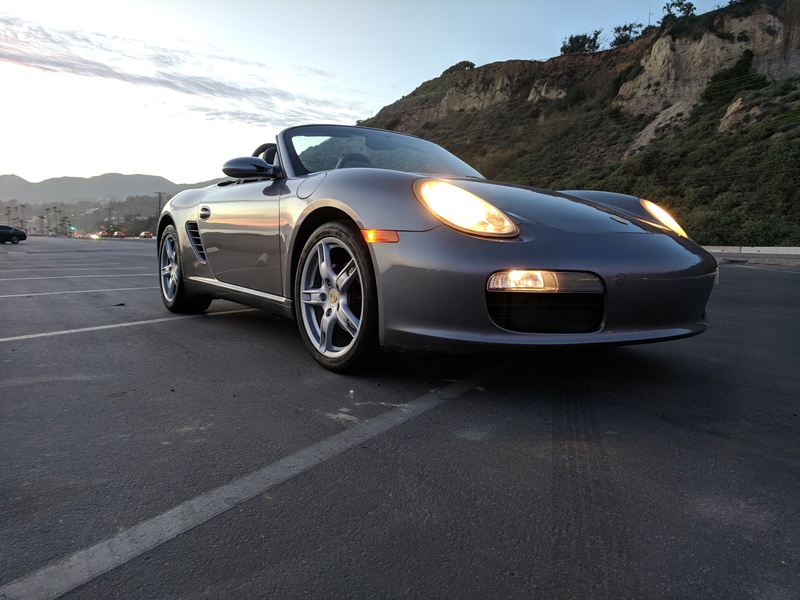 When the good old Boxster was dropped off for an extended stay, I wanted to see if the little Porsche was up to the task of being a true daily driver. 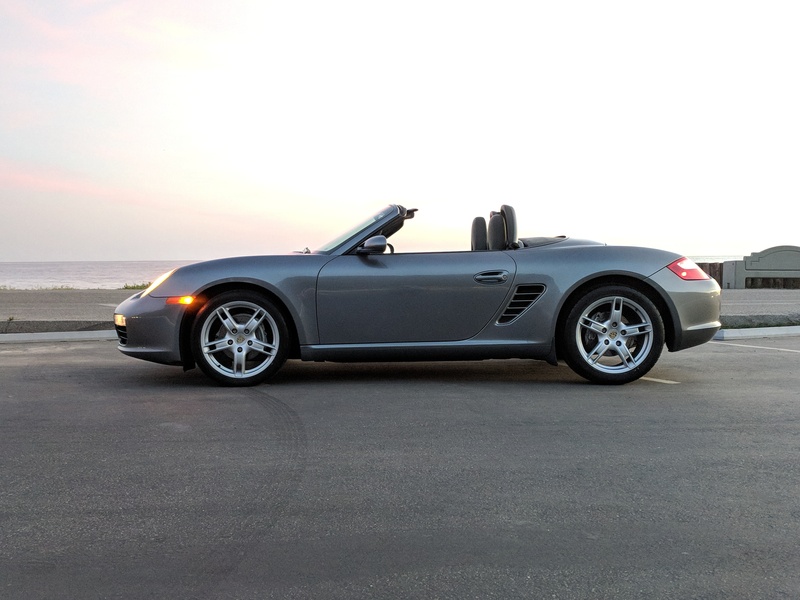 Sure, the Boxster may look cool, but let’s face it, the two-seater, mid-engine convertible isn’t going to fill many boxes on the practicality checklist. 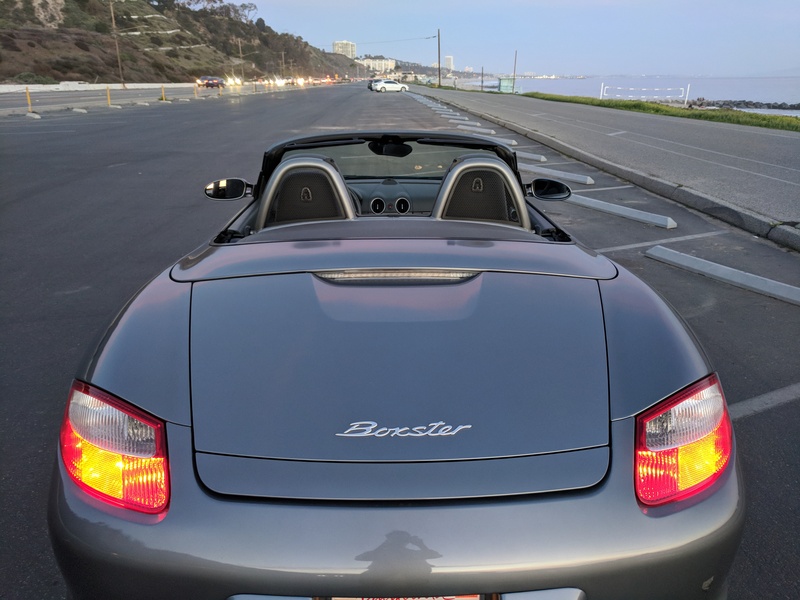 Plenty of people own Boxsters, but they’re typically a “second car” reserved for warm weather or a nice dinner out on the town. There is a simple solution to all of this: Add an extra set of doors, make the trunk bigger, jack up the ride height, add the ability to heat and cool anything and everything in the interior, and absolutely avoid having any more than two pedals. Then you can easily drive a Porsche every day! Don’t kid yourself though, a Cayenne is not a sports car. 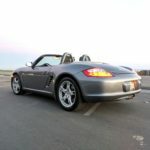 When the Boxster first arrived, I did what any person would do and immediately went for a spin with the top down. 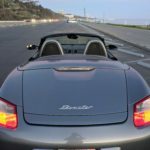 With the novelty of the convertible out of the way, I wanted to investigate whether the Boxster could keep its composure elsewhere. Like most people, I frequent the grocery store as a means of feeding myself throughout the week, as In-N-Out doesn’t fulfill many aspects of the food pyramid. Thirty minutes later, I leave the grocery store with a few bags and a case of bottled water. 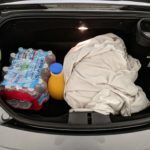 Unlike the 911, The Boxster has two trunks to choose from. The “frunk” is quite spacious, but its depth can make heavy objects cumbersome to retrieve. 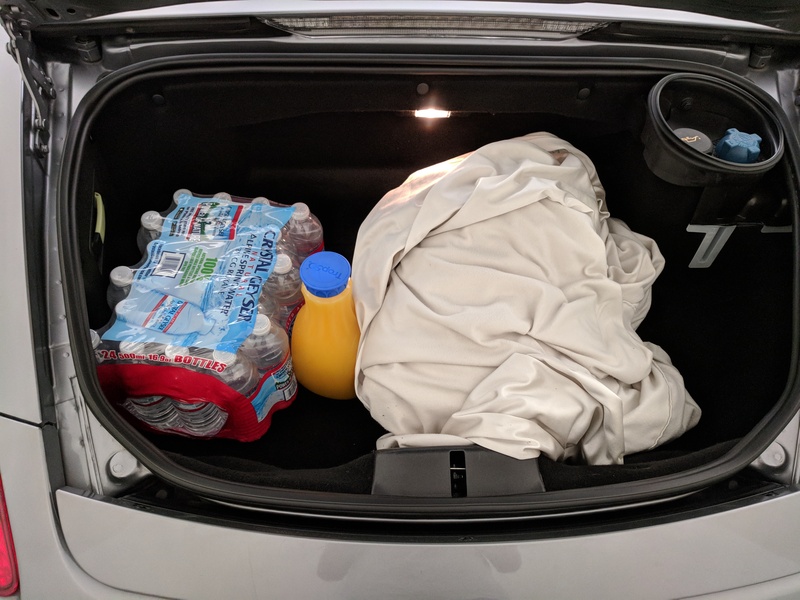 At the other end of the car, the rear trunk is surprisingly roomy despite a shallow appearance. I was able to fit all my groceries in the back, and they didn’t get destroyed on the way home from the stupendous quality LA roads. Double victory. 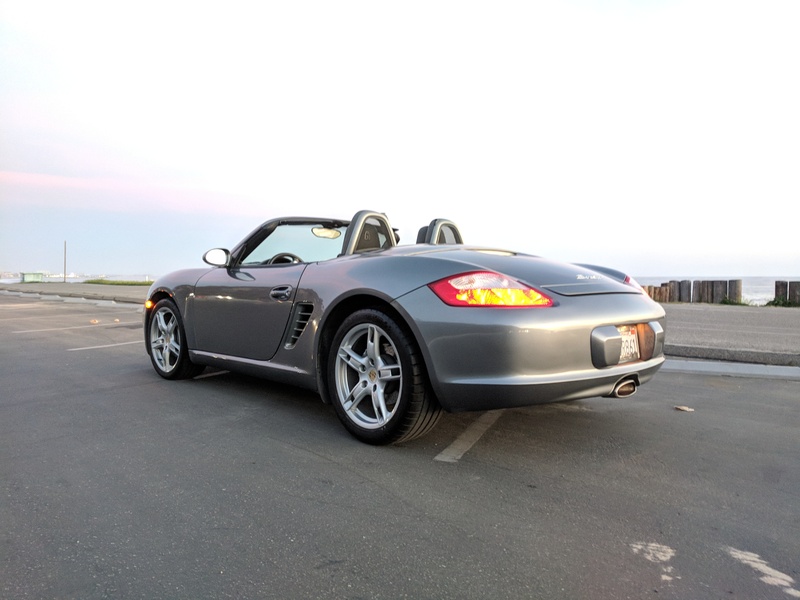 The short wheelbase means the Boxster easily fits in most parking spaces. The rear trunk can surprisingly fit more cargo than you’d expect. Modern without too many distractions. Unfortunately getting in and out of the Boxster can pose as a challenge, especially in tight parking spaces. The doors are rather long, and they need ample room to open wide enough. Pair that with the convertible top raised, and it feels like a choreographed set of “Billie Jean“ dance moves before you’re either in or out of the car. Clearly the only reasonable solution then is to always drive with the top and windows down. Careful Bo and Luke Duke, don’t let your boots scuff the leather. 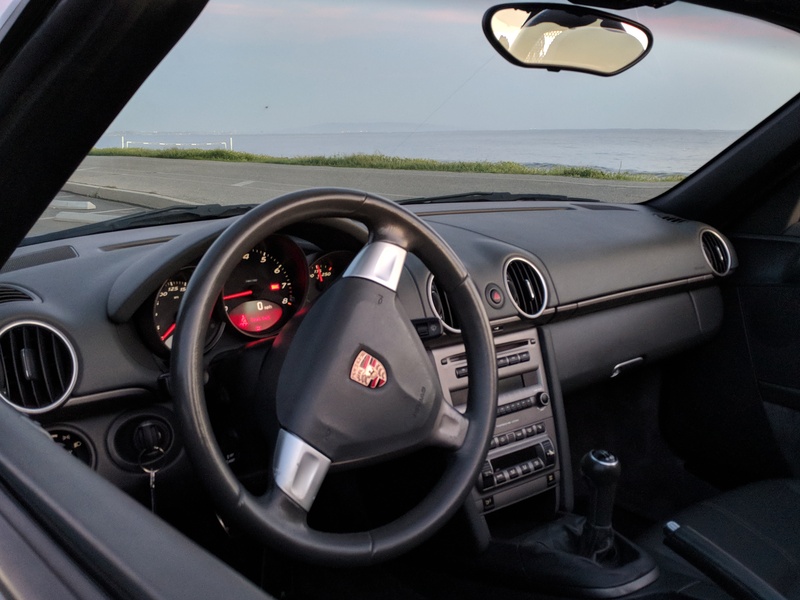 Once you’re behind the wheel though, the Boxster is quite comfortable. The seats may look plain, yet they offer the right amount of bolstering without being unbearable on long drives. The pedals require a bit more effort than most cars, yet it’s a reassuring reminder of the tight tolerances that go into the construction of such a car. Thanks in part to the lack of weight over the nose of the car, steering effort is moderately light, which is especially handy for getting in and out of parking spaces. The only thing that feels a bit lackluster is the shift linkage. Unfortunately gear changes seem numb and not as positive as one would expect from a sports car. Perhaps it’s not weighted proportionally to the pedal inputs, but some vagueness is just inherent of cable operated shifters. At freeway speeds, the car tracks very well. Cruising around 80 miles per hour is very civil. The tach says the flat six is churning 3500 rpm or so without drowning out the interior with engine noise. The soft top is relative squeak-free, and doesn’t allow too much wind noise into the cabin. Like any convertible though, there is a bit of a blind spot when changing lanes, but that’s even more reason to drop it down a gear to put some distance between you and any traffic. Pay no attention to the fantastic exhaust note. 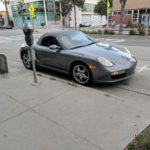 Now comes the time when a car like the Boxster begins to separate itself from crowd. In many cases, people will attempt to modify sporty cars in hopes that they will be just as capable as a traditional sports car (guilty as charged). In the process of doing so, compromises are made, such as overly stiff spring rates. 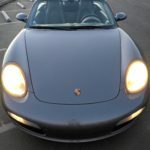 The Boxster on the other hand was designed to be a sports car from day one, so it has a stiff chassis right out of the box. More importantly though, the suspension is properly dialed in from the factory. This proves the theory that good handling and good ride quality aren’t mutually exclusive. 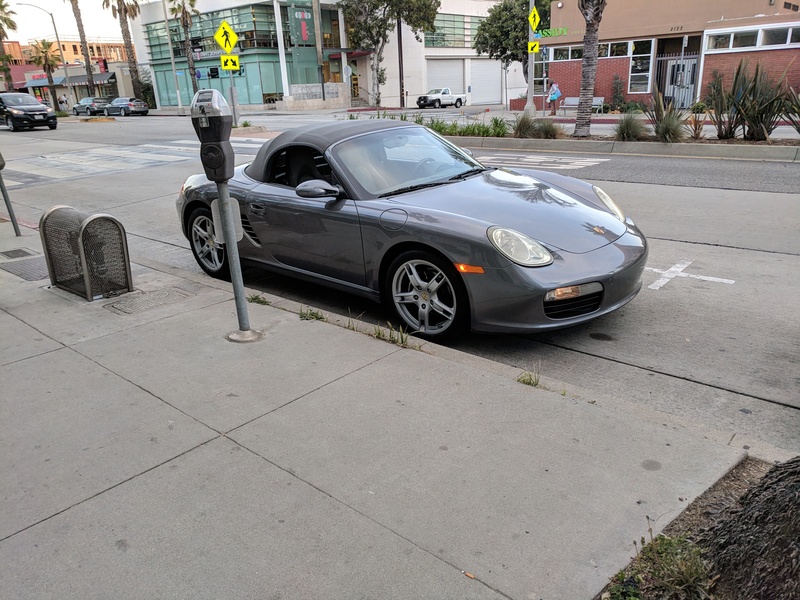 In this case, Porsche knew exactly what they were doing and there’s essentially no reason to change it for a street car. 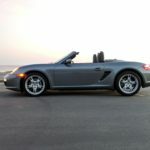 In stock form the Boxster is a car that’ll tear up your favorite mountain road, yet cruise home with ease. 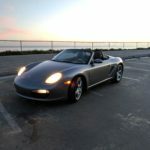 Eventually I handed back the keys to the Boxster, which gave me a good chunk of time to think about if I wanted one myself. A large part of me says yes, namely because I don’t need a practical car at this point in time. 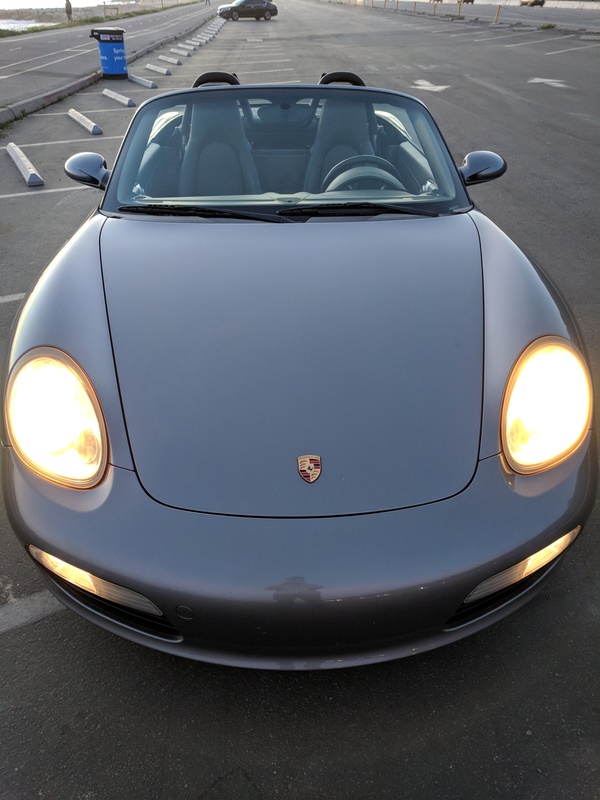 If I found a well-maintained example, a Boxster could certainly suffice as my only car. Most replacement parts and labor are marginally more expensive than the usual German car suspects, plus the bonus of not needing to modify anything. And that’s why I haven’t pulled the trigger on one. There’s still a lot of fun to be had modifying cars, so it’ll probably be a while before I get that bug out my system. On the flip side though, not everyone wants to be covered in grease each weekend. Sometimes you simply want to hop in the car and go. 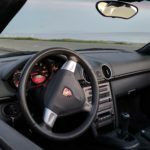 So, what did I learn after living with the sports car for a few weeks? 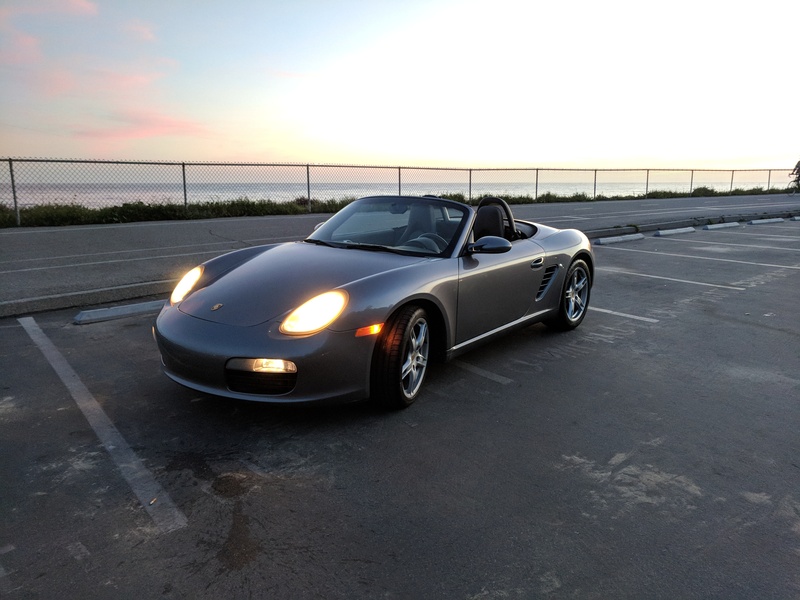 As long as your hobby doesn’t require hauling windsurfing equipment or boat loads of people, the Boxster is more than capable at being a daily driver. It may not get the greatest mileage around town, but hearing that flat six fire up with every turn of the key is worth a few extra visits to the pump. If you have one sitting in the garage, get it out from under its car cover. If you’re on the fence about owning one, go test drive one and see what it’s all about (nice examples are still reasonably priced). If German car ownership still scares your bank account, I guess Toyota Camry is your answer…and a side of extra mild salsa for that authentic Chipotle burrito. 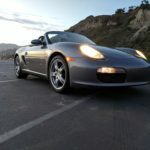 The Boxster is also a reminder that cars don’t have to be boring, and most importantly, driving doesn’t have to be a chore. As a warning though, this realization may cause you to suffer from a lack of promptness known as the “Joey-45”. Why sit in traffic when you can take the scenic route?